Michelle Linss, center, is the hub of her active family, from left, Kaden, 7; Alexandria, 19; husband Eddie; and Kaleb, 11. Mrs. Linss’ medical problem was diagnosed as primary biliary cirrhosis (PBC), a disease in which the bile ducts are damaged, causing bile to build up in the liver. She was treated with a round of prednisone and cyclosporine, but neither worked. Discouraged, she decided to look elsewhere for care and discovered that Dr. Marlyn Mayo, Associate Professor of Internal Medicine at UT Southwestern, specialized in immune-related liver diseases, such as PBC. UT Southwestern also has a liver-disease satellite clinic in El Paso, which would make the logistics of her care easier. Dr. Mayo determined that Mrs. Linss had a rare variant of PBC known as rapidly ductopenic PBC, which leads to cirrhosis quickly. During one visit to her physician in Dallas, Mrs. Linss pointed out some painful bumps under her skin. These turned out to be deposits of lipoprotein X, an abnormal lipoprotein particle that was accumulating because her liver was unable to correctly process cholesterol. The xanthomas, as they are called, increased and they made everyday living difficult. Walking was painful and opening a jar impossible. Dr. Mayo referred the patient for a liver-transplant evaluation and she was placed on the transplant waiting list at UT Southwestern. Liver-transplant lists are ordered according to the severity of the liver disease based on a “MELD” score, which factors in creatinine levels, bilirubin levels, and INR (a measurement of how quickly blood clots). The higher the MELD number, the sicker a patient is and the higher they are placed on the waiting list. 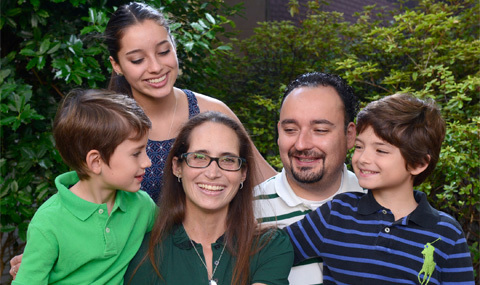 Mrs. Linss’ MELD score of 17 meant it would be a significant amount of time before she received an organ, and that’s when Dr. Jorge Marrero, Medical Director of the Liver Transplantation Program at UT Southwestern, went to bat for her. The organization that oversees transplant lists, UNOS, allows physicians to bring special cases before the board, and he did just that, arguing that her rare form of PBC put her at special risk and led to a decrease in her quality of life. The UNOS board awarded Mrs. Linss the extra MELD points. UT Southwestern’s liver-transplant program started in 2007 with nine transplants, and the program has been steadily growing. They anticipate performing 40 transplants this year, the highest number since the program began, and foresee an accelerating rate of increase in the annual volume of transplants performed for the fifth consecutive year. UT Southwestern is engaged in liver-disease and liver-transplant research, and is home to the NIH-sponsored Acute Liver Failure Study Group, which gathers data from 15 tertiary-care liver transplant centers around the country on acute liver failure – a sudden, devastating collapse of liver function. The medical center also is engaged in federally funded clinical studies on alcoholic hepatitis, hepatitis B, and hepatocellular carcinoma, as well as clinical trials in hepatitis C, PBC, primary sclerosing cholangitis, and hepatic encephalopathy. Availability of donor organs is a key concern for all transplant programs. Dr. Juan Arenas, Surgical Director of the Liver Transplantation Program at UT Southwestern, is working on ways to increase available donor livers. He is a member of a panel that is reviewing the geographical rules governing the distribution of donor livers, advocating for more equitable distribution. He is also poised to begin using extracorporeal membrane oxygenation (ECMO) technology to perfuse organs of individuals who have experienced irreversible cardiac arrest, which will ultimately make more donor livers available. Michelle Linss got the call that there was a donor liver available for her on Aug. 28 of this year. The surgery went well. The itching she had been experiencing for so many years went away almost immediately. The pain from the lipoprotein X deposits in her hands, her feet and elsewhere has dramatically diminished. And being able to have her follow-up visits at the UT Southwestern liver clinic in El Paso makes life easier for the busy working mother of three.